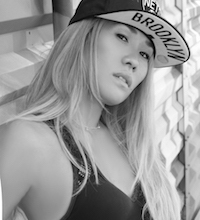 Kuni is a Certified Zumba Fitness instructor for five years. She has been studying various styles of dance and performed for more than 20 years. Since Kuni discovered Zumba Fitness, it has played a transformative role in her life. She instantly fell in love with Zumba and truly believes that its positive influence can be felt throughout your everyday life. It is this philosophy that makes Kuni look at her class not just as a fun dance class, but also a workout for your body, mind and soul. Kuni looks forward to sharing her infectious enthusiasm with you and can’t wait to see your smiling face in class! Time to shine!